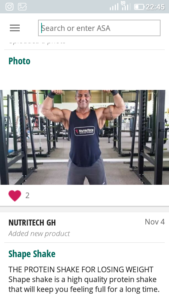 Adeton is an app carefully crafted with shop owners in mind, made with love from Blackground Labs in Koforidua, Ghana. As managers or owners of a business, getting a website to promote your products and services now takes a turn for the better. 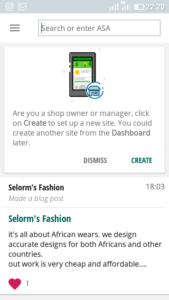 Create and manage a site for your business for free using just a smartphone or tablet. 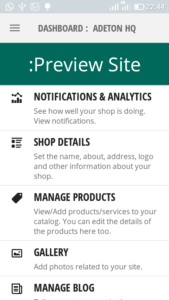 Install the Adeton Android app, create your Adeton site, and start reaching your customers with ease. Maintainance, cost, and scalability of your Adeton website are on us, and #WeCantThinkFar letting you down. Adeton is not to be confused with an online shop. Our platform extends way beyond just an online shop. Show the world what your product and services are, and more with your Adeton site. With Adeton you get a Homepage, a Catalog section, Blog, Gallery and a page dedicated to information about your site-packages. All these for free and far easier to set up. Many platforms and web services have envisioned to simplify the life of small businesses that are trying to reach a bigger audience on the using a simple website. We are closer to our smart devices more than ever before. Adeton not only makes the entry onboarding process for small business to own a website way easier, even more, Adeton puts the power entirely in the hands of the business owners, literally. With a mobile-first approach, the Adeton mobile app focuses on getting small businesses online within the Adeton Platform. Adeton removes the entire process related to Domain acquisition and cost, renewals, site maintenance and many other moving parts managing a website goes through. Adeton ensures business owners focus on serving customers with great products as usual, rather than daily headaches on site maintenance and or domain management. Pick a site address that suits your business and or brand and customers can use to find you in the Adeton browser. 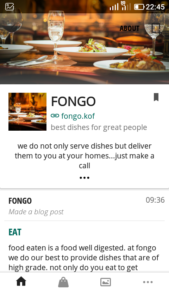 For example, if your business is called Fongo Bar located at Koforidua, you get to choose an address like fongo.kof just like a web address. Adeton was developed purposely to help shop owners create a site for their business to interact with their existing and prospective customers. Anyone could be either a customer or shop manager/owner, therefore Adeton was made for everyone. Adeton has support for any kind of business. These include retail stores, schools, hospitals, libraries, restaurant, car rentals, even as a personal site. 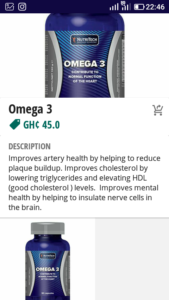 As a CUSTOMER you get to browse the sites of your favorite shops by either using their ASA (Adeton site address) or searching for their names. Sites take less than 3 seconds to load literally. Life is short to wait. 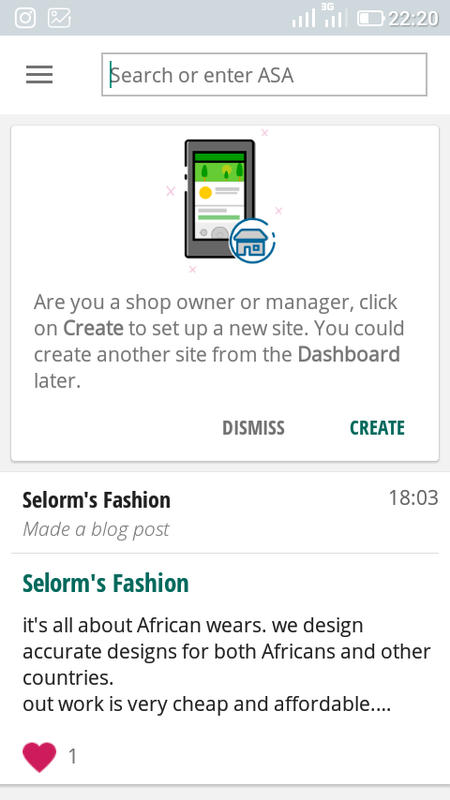 Customers get to bookmark sites in order to updates/feeds from them. 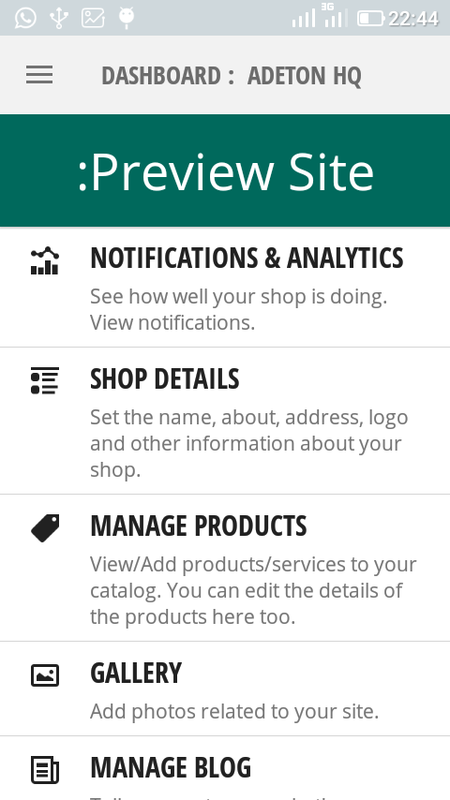 With that, you get to know when the shop has made any update like adding a new product or making a blog post. Shop owners could create and manage as many sites as they can. Adeton provides a comprehensive Dashboard that is used to manage the site (or delete it). You’ll have Analytics to know how many site views and customers a site has. You also get Notifications when you get recommends or comments on any part of your site. There are other items in the dashboard that help you manage your site easily and Adeton generates an elegant site out of it. All these for free.